Do you read book reviews in mainstream media – newspapers and magazines, and/or their websites – any more? There actually are some of them still around, despite the rapid disappearance of dedicated book-review sections in newspapers during the last few years. And while many of us seem to be getting book information and recommendations from book blogs and other new sources, traditional review outlets like The New York Times still carry influence and weight – like it or not, they still matter. To some people, including best-selling authors like Jennifer Weiner and Jodi Picoult, they matter a lot. Weiner has been vocal for years about the fact that the Times does not review her books, even though she’s placed several of them on their bestseller lists – and she became even more vocal a couple of weeks ago, when the Times published two pieces, a review and a feature, about Jonathan Franzen’s upcoming novel Freedom within just a few days. Weiner was following up on Picoult’s Twitter comments about the review – and the Times‘ attention to, and seeming bias in favor of, “white male literary darlings” over women fiction writers – with her own “#Franzenfreude” tweets. 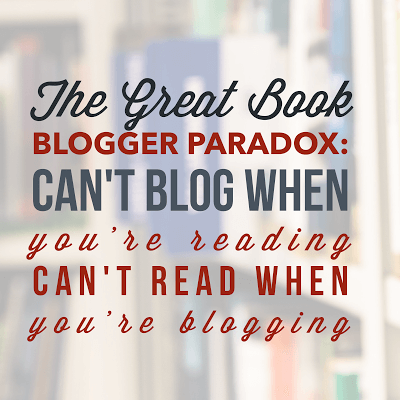 Since I discovered book blogs, I’ve drifted away from mainstream-media book reviews. However, even before that, I noticed I was finding fewer and fewer of the books I actually wanted to read via those reviews. I’m not much of a genre reader, although I don’t make a point of avoiding genre elements in general fiction. Having said that, the fiction I prefer to read isn’t necessarily “literary” per se, either. I’ve found some modern literary fiction a bit too self-referential and self-aware for my taste, with writing – well-crafted though it may be – that can become gimmicky and get in the way of the storytelling. That doesn’t mean that I don’t appreciate literary merit and technique, however, and I absolutely seek out good, engaging writing. I prefer fiction that’s drawn from the real world, and that contains characters and conflicts that I can understand, even if I don’t fully relate to them. I prefer fiction that’s centered around people’s relationships and how they’re affected by situations. I look for meaningful themes and relevant observations about life. And as it happens, I tend to find that kind of fiction is more often written by women. My LibraryThing catalog is close to a 70/30 split between female and male authors, and my list of “favorite authors” is not single-gender. However, some of my favorite male writers are less likely to write the type of fiction I generally favor; I usually turn to them for my forays into genre (or, more accurately, genre-mixing). When it comes to “domestic” fiction, “relationship” fiction, “realistic” fiction, or whatever label you use to describe it, I admit that my own bias is heavily in favor of women authors. While they may write with humor, I look for authors who take their themes, characters and stories seriously – and I take them seriously. One of the beauties of the book-blog world – which, like my LibraryThing catalog, is quite dominated by women – is that across nearly all genres and niches, we do take authors and books seriously. Sometimes we talk about the same books that traditional book reviewers do, but we’ve made space for so many others that they don’t. We’re filling a void that established book-criticism outlets don’t seem to care so much about – and quite frankly, that’s their loss. And if those outlets – and the authors they’re bypassing – aren’t taking us seriously, that’s their loss too.